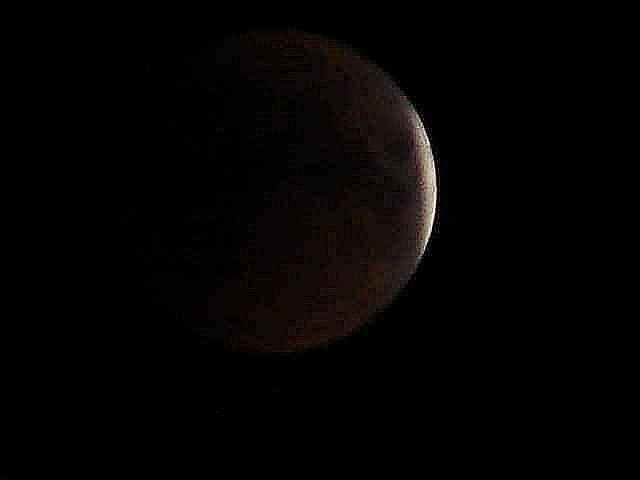 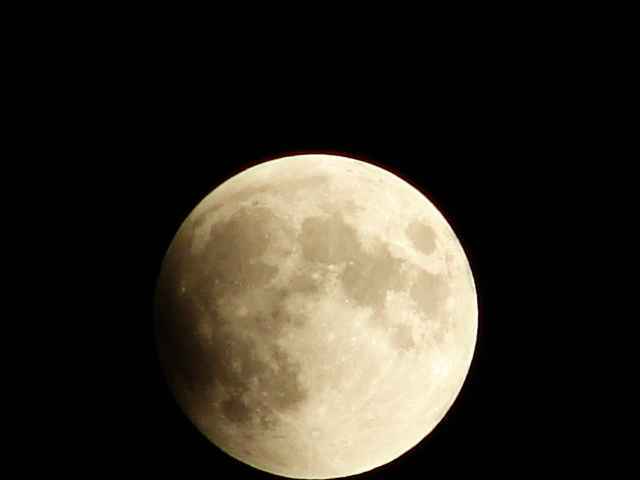 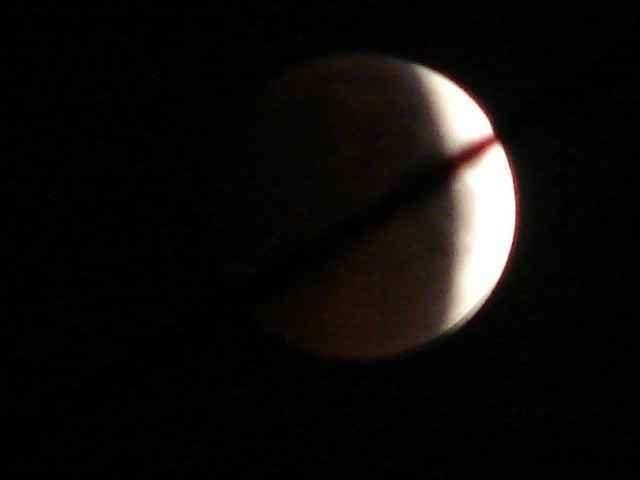 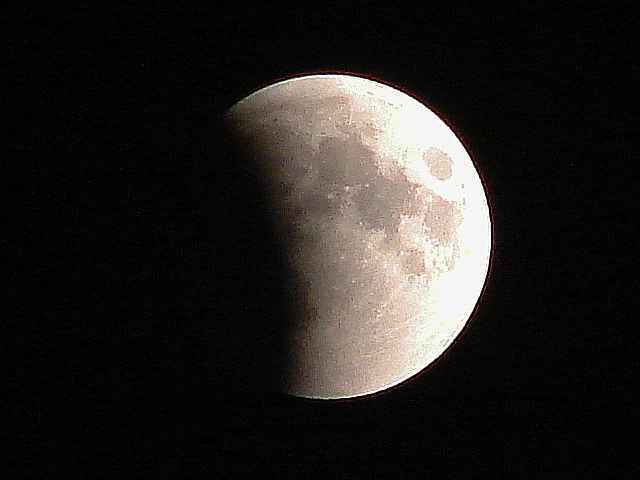 OK, this is my second capture of the eclipse around 1150 PM local time at Islamabad, Pakistan. 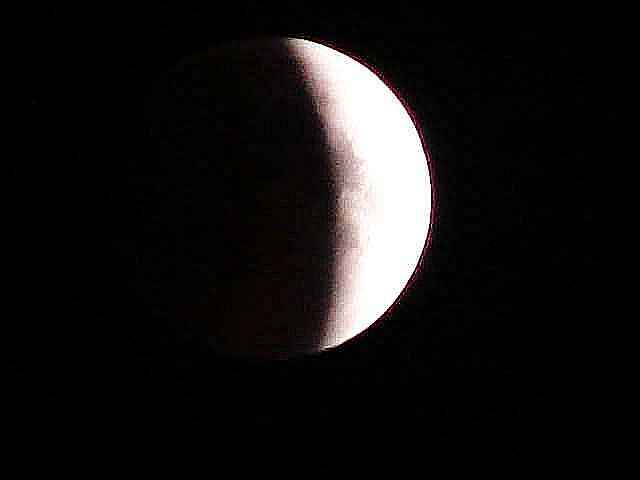 This was it - almost complete eclipse at 1220 AM on 16th June 2011. 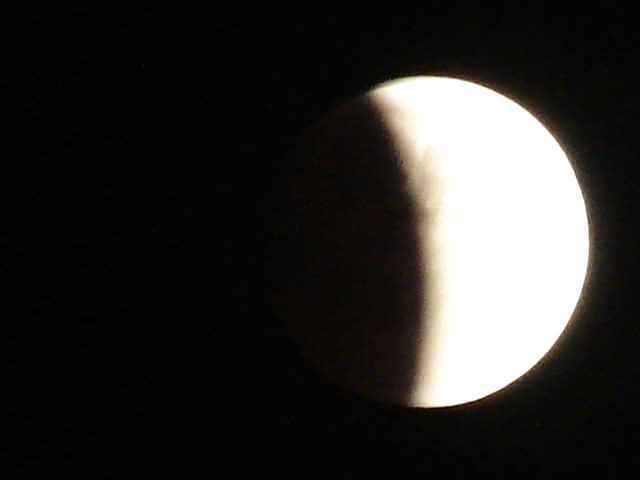 Thereafter it was just a faintly glowing disc, but my camera batteries discharged and I could not continue shooting the shying moon.